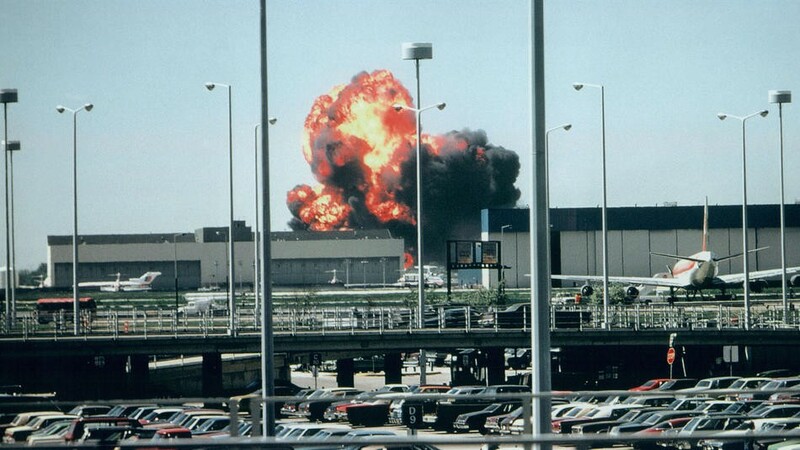 The DC10 aircraft departed from Chicago O’Hare airport with 271 passengers on board. Safe journey ended in disaster when the left engine got detached from the wing and fell off, resulting the plane to roll in the air and crash to ground about a mile from the runway. All 271 passengers were killed, making it worst disaster in American Aviation history. Investigation revealed that the disaster was a result of a deviation in the procedures in removing the plane’s engines for maintenance, cracking an aluminium component which held the engine to the wing. This controversial incident took place during the Iran Iraq war. Iran Air flight 655 operated by A300 was in Iranian airspace over Iranian territorial waters with no deviation of the usual flight path. It was shot down by a surface to air missile fired from US military cruiser USS Vincennes. 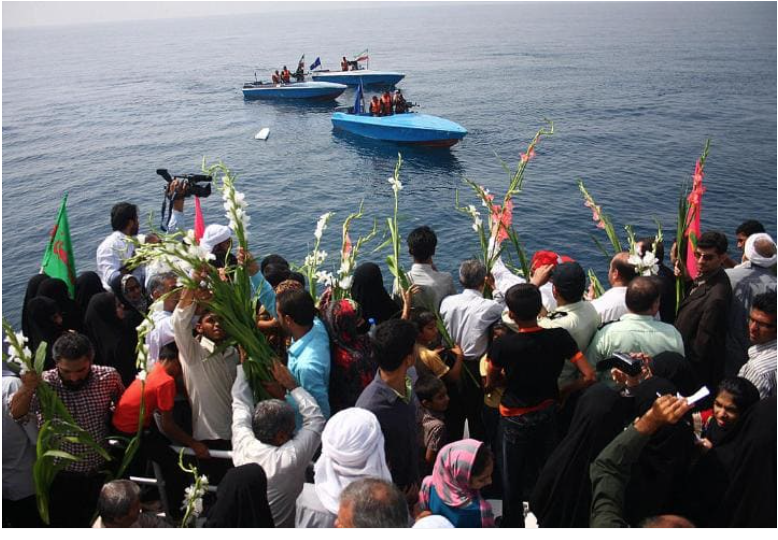 All 290 people on board were killed. US government claimed that attempts were made several times with the Iran Air flight to establish identity without any luck. Shots were then fired mistaking the civilian aircraft to be an F14-A Tomcat fighter plane. A settlement was reached at the International court of justice; US Government regretted the loss of lives and paid the due compensation. Two Boeing 747 passenger jets collided on the runway at Los Rodeos Airport (now Tenerife North Airport) on the Spanish island of Tenerife, Canary Islands. The crash killed 583 people. 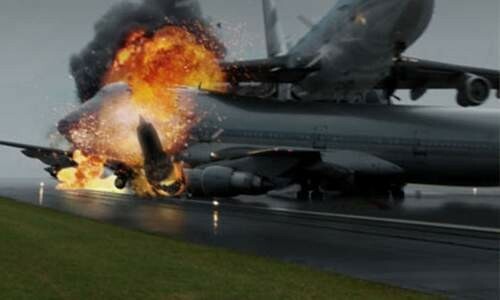 This is the worst accident in the history of Aviation. Investigation revealed that the disaster was a result of pilot error, runway incursion, heavy fog and failure in communication. Air India Boeing 747 crashed off the coast of Ireland en route from Toronto to Sahar International in India, after a bomb placed in the cargo hold by Sikh extremists Babbar Khalsa exploded over the Atlantic. The passenger responsible for this incident checked in, but did not board the flight. Later, ICAO regulations made it mandatory to offload bags of passengers who fail to board a flight. 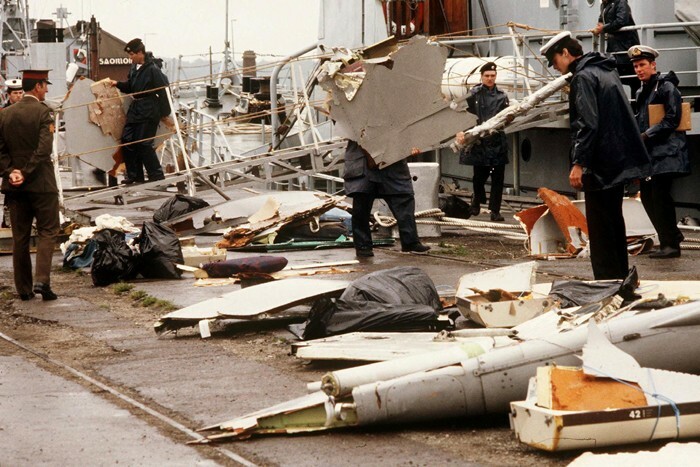 Investigation into the bombing of Flight 182 found numerous failings in the security procedures in Canada. Flight 163 took off from the Saudi capital airport en route to Jeddah and returned back to Riyadh, minutes later for an emergency landing after a fire started in the cargo hold. Pilot taxied the aircraft back towards the airport, stopping on the runway for 3 minutes. Another 23 minutes elapsed to access the aircraft once the engines stopped. By the time the doors were opened, all onboard died from smoke inhalation. Investigation revealed that the source of the fire is believed to have been from two butane stoves in the cargo. Pilot did not initiate emergency evacuation. 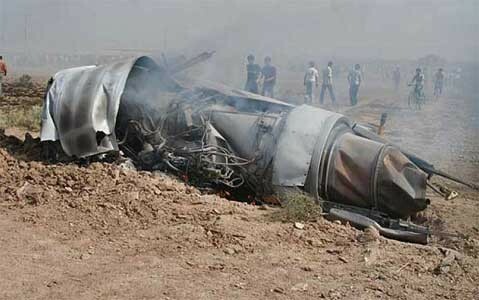 The military aircraft crashed in the Sirach Mountains near Kerman in Iran. 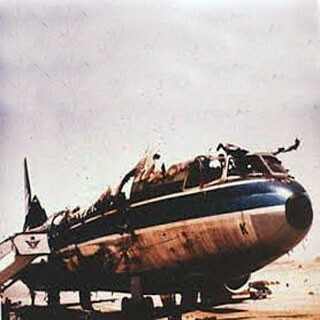 The investigators found that bad weather (including high winds and fog) brought the plane down, killing all passengers and members of the Revolutionary Guards. The Aviation Safety Network classifies the crash as a Controlled Flight into Terrain. 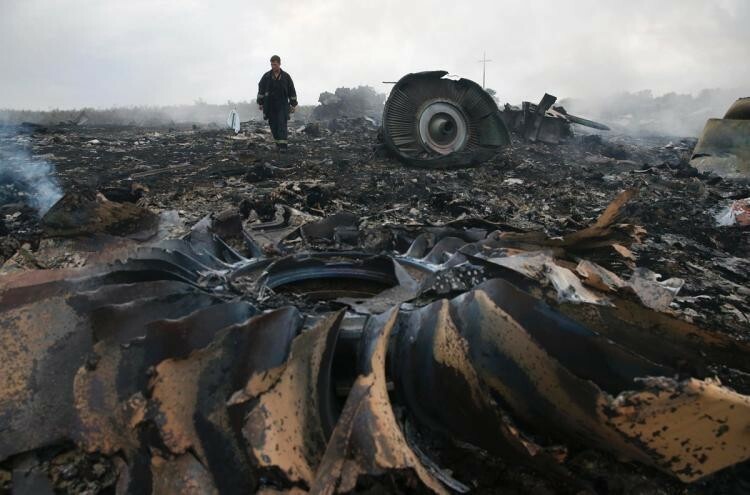 Malaysia Airlines Boeing 777-200 flying from Amsterdam to Kuala Lumpur was shot down near the Russian border, likely by pro-Russian forces in control of the region during the War in Donbass between separatist insurgents and the Ukrainian government. All 298 on board died when the plane crashed into a field near Torez. A design flaw on the Douglas DC-10 led an aircraft carrying 335 passengers and 11 crew members to crash in the Ermenonville Forest north of Paris. 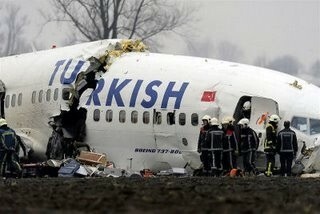 The incident took place after taking off from Orly Airport bound for London Heathrow, en route from Istanbul. Around 10 minutes after the plane took off from Orly, the rear left cargo door blew off owing to a problem with how the hatches latched shut - they could be forced shut by baggage handlers without the pins locking correctly - causing an explosive decompression in the cabin and severing cables linking the flight deck with the aircraft’s elevators, rudder and two engines. The aircraft pitched sharply nose-down and began picking up speed as the pilots lost control, before it crashed into trees travelling at around 490mph. 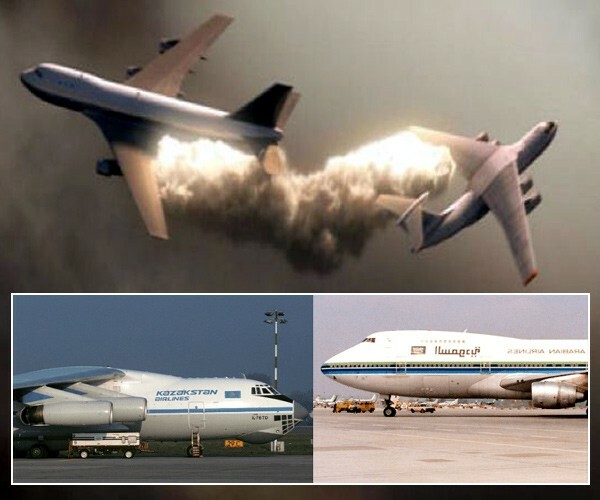 The world’s deadliest mid-air crash involved Saudia Flight 763 and Kazakhstan Airlines Flight 1907 over the city of Charkhi Dadri in northern India. The Saudia-operated Boeing 747 was bound for Dhahran from Delhi, while the Kazakhstan Airlines Ilyushin II-76 was bound for Indira airport from Shymkent when they collided, killing 312 people on board the former and 37 on the latter. The crash occurred after the Ilyushin aircraft was cleared to descend to 15,000 feet, but then descended past that level to 14,500 feet while the 747 was ascending in the opposite direction. By the time the air traffic controller could warn of the proximity between the two aircraft it was too late. The tail of the Kazakhstan plane cut through the Saudia wing, causing the aircraft to go into a rapidly descending spiral, while the Ilyushin entered a gentler but still fast and uncontrolled descent and crashed. 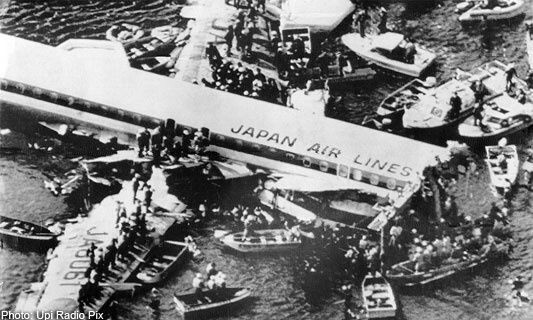 The largest single aircraft accident in history was the crash of a Boeing 747 into Mount Takamagahara in central Japan. Just four survived when the aircraft spiralled out of control, its wing clipping a mountain ridge, before flipping and landing on its back, following an explosive decompression towards the rear of the plane, the result of a faulty repair job seven years earlier. Pilots were able to keep the plane in the air for 32 minutes after the mechanical failure - a time that has not been matched repeating the scenario in flight simulators since - before crashing into a mountain. “The magnitude of the accident speaks for itself, but what makes it particularly unforgettable is the startling set of ironies and coincidences that preceded it,” wrote author and pilot Patrick Smith of the accident that took place at Tenerife North Airport (formerly Los Rodeos) 40 years ago, when two Boeing 747s, one belonging to KLM, the other to Pan Am, collided on a foggy runway.